Bankruptcy protection exists to provide relief for people who are drowning under bills that they can't pay, but many people hesitate because they don't fully understand the process. Rogers & Driver Attorneys at Law, a law firm dedicated to helping residents of the Glasgow, KY area, are here to explain a few key things you should know about filing for bankruptcy. Most Unsecured Debt Can Be Completely Discharged: If you qualify for a Chapter 7 bankruptcy, most of your unsecured debt will be completely wiped out. This includes credit card debt, hospital bills, and even some unpaid taxes. A Chapter 13 bankruptcy will give you the chance to catch up on secured debts, such as your mortgage, while eliminating much of what you owe. It May Be Better For Your Credit In The Long Run: Many people try to avoid filing for bankruptcy because they worry about the impact on their credit score. However, it's probably better than the accumulated effects of late payments and defaults. It Puts An Immediate Stop To Creditor Harassment: Both types of consumer bankruptcy programs include automatic stays which orders creditors to cease all collection efforts, including wage garnishments, lawsuits, and repossessions. You'll Get To Keep Most Of Your Property: Much of your personal property is exempt from liquidation. A skilled bankruptcy attorney will help you keep as much of your property as possible. 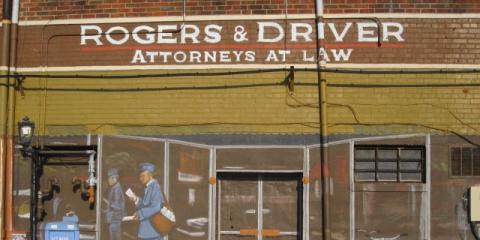 If you have read this advertisement for Rogers & Driver, Attorneys at Law, and you need a bankruptcy, personal injury, or divorce attorney, give their office a call at (270) 651-2258 to schedule a consultation today. You can also learn more by visiting them online. This is an advertisement.